The Village at Longboat Landing: Fort McMurray's first Master-Planned community. 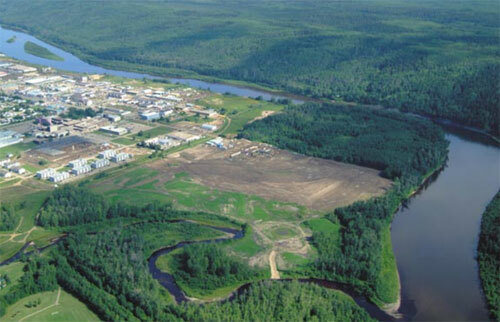 Situated beside the Hangingstone and Clearwater Rivers, The Village at Longboat Landing is a residential condo development close to the Fort McMurray downtown. Built within a network of pathways, parks and public spaces to foster neighbourhood connections, The Village of Longboat Landing combines the condo lifestyle with beautiful, natural greenspace and a genuine community atmosphere. 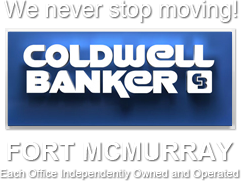 The first community of its kind in Fort McMurray, Longboat Landing will be a village-like community with distinctive. character-rich neighbourhoods. Residents will appreciate the "lock and leave" features of this development that lend themselves well to an active, busy lifestyle including ample parking. 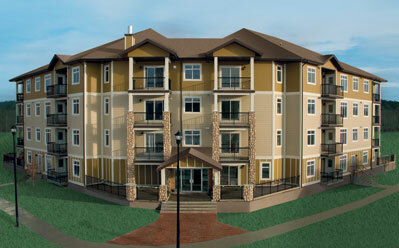 In addition to being surrounded by the best of the outdoors including walking and cycling paths, The Village at Longboat Landing provides residents with quick access to many local amenities including shopping, entertainment and recreational facilities including Keyano College with its performing arts events, daycare, and health and wellness centre. For more information or to request a brochure, contact The Lore Group.